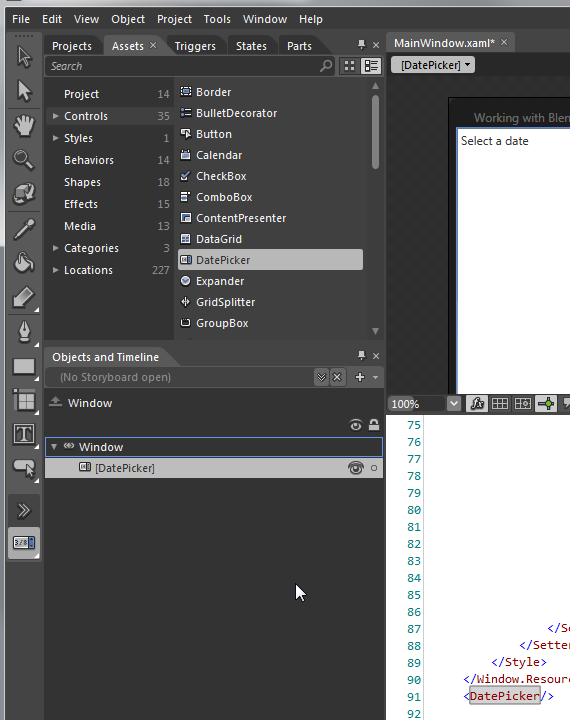 You can use the Assets Panel in Blend to add any available control to your user interface. 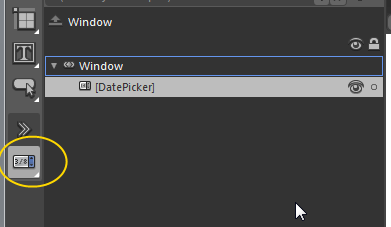 In the example below, we’ve added a DatePicker control. You’ll notice that when you add a control to your user interface from the assets panel, a new icon appears on the Tools Panel, at the bottom. This icon will always represent the control that you most recently added to your user interface. 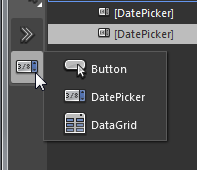 Looking at the previous screenshot, you can see that an icon for the DatePicker control has been added to the tools panel. Once the icon has been added to the tools panel, you can add additional instances of this control by double-clicking on the icon. You can also left-click and hold to see a list of all of the recent controls that you have added.